Use code at the end of the check-out procedure. This will reduce the amount by a further 20% to $31960.00! The Amore Double Bass is made of solid timbers throughout. The ebony fingerboard, as well as a great complete set-up in our onsite workshop, ensure ease of playing and enjoyment. The appearance may vary, but usually, it has a lighter varnish. It is the most inexpensive solid timber double bass. It comes with Heliocre Hybrid set but you can upgrade to a different brand and pay for the difference if you wish. Please note: Basses and its cases are excluded from our Free shipping policy. The cost depends on the location. Please call 1300 739 777 to discuss shipment. 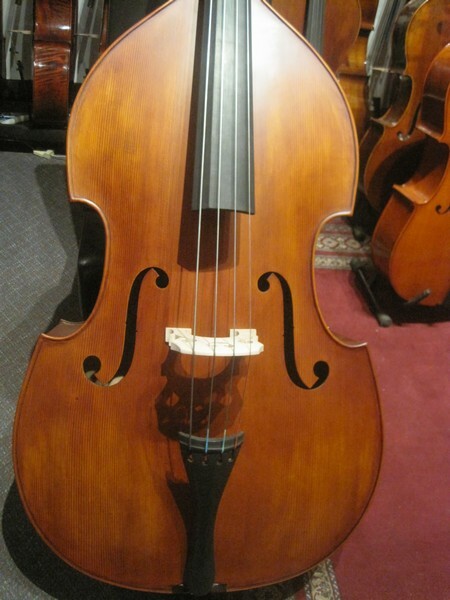 Click the button below to add the Amore Double Bass all sizes available to your wish list.